When it comes to quality food, you know you can't go far wrong with Marks & Spencer. Granted, it may not be the cheapest, but you get what you pay for, and you know it's alway going to taste great. And if you want something really tasty while saving the pennies, they run those handy 'Dine in for £10' offers including main course, side dish, dessert and bottle of wine. In my previous life as a suit-wearing office worker, I used to pop in all the time for my lunch. I'd grab some of their huge, juicy, clementine-sized 'King Strawberries' in Summer, a comforting heart casserole in Winter, or - if watching the calories - one of their 'Count On Us' meals. Not forgetting the odd packet of Percy Pigs, obviously. Mr Foodie, a competing triathlete these day, regularly buys their 'Fuller for Longer' meals for lunch, then spends the evening boring me boasting about how long he can go afterwards without wanting more food (probably while I've been nibbling away on biscuits). 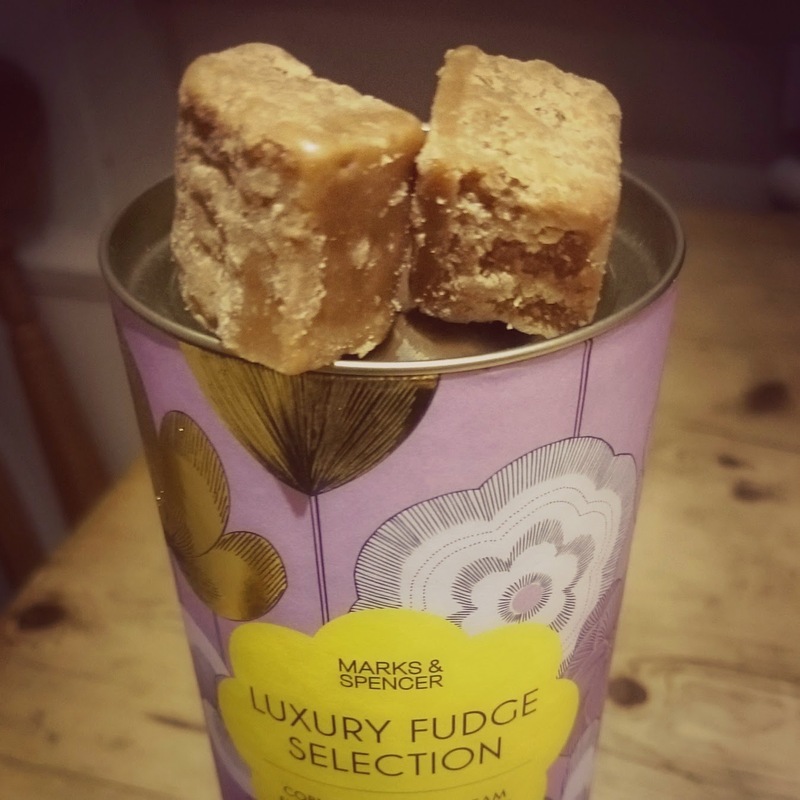 So, when I was offered the chance to try a few samples from M&S recently, I managed to restrain myself from all out biting their hands off and very casually accepted the offer. 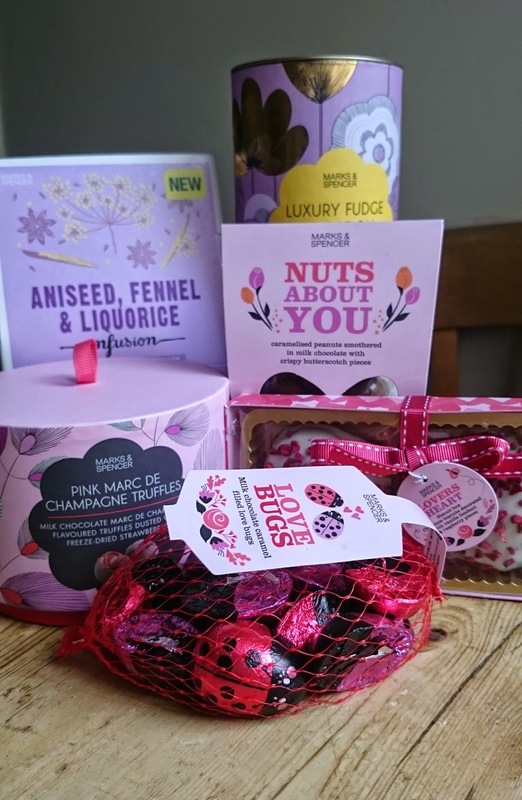 Arriving a few days later in the post was a set of goodies designed as gifts - champagne truffles, chocolate 'Love Bugs', luxury fudge, herbal tea, chocolate covered nuts and heart shaped biscuits. Oh alright then, if I must! The 'Pink Marc De Champagne Truffles' got it first. 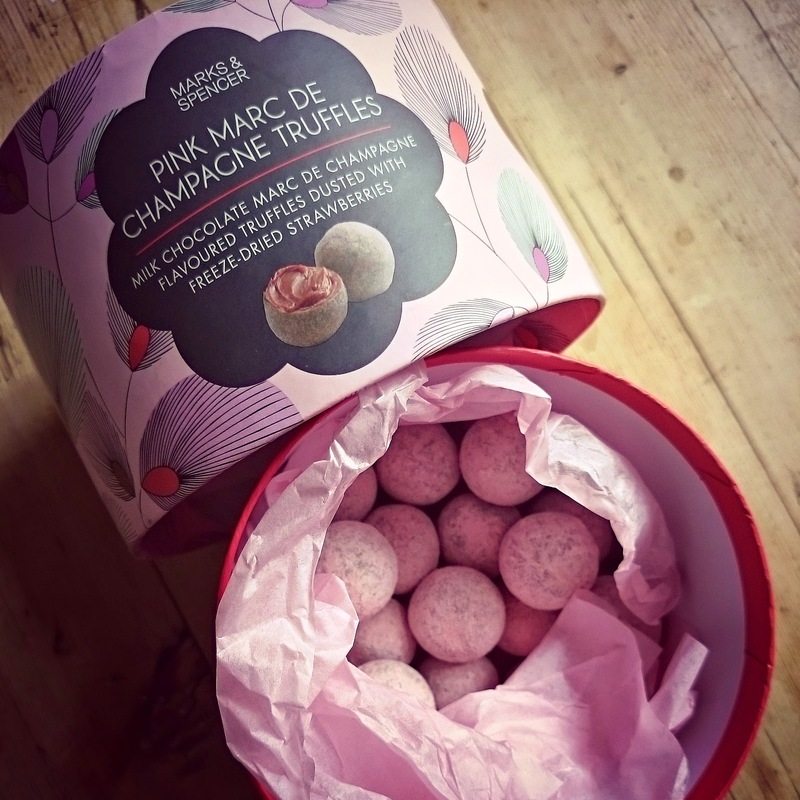 Dusted with free dried strawberries, their outer chocolate shells giving way to a smooth champagne spiked truffle underbellies. I managed to savour these over the course of a few days, hiding them well away from the kids (and Mr Foodie), and they definitely felt like a treat. 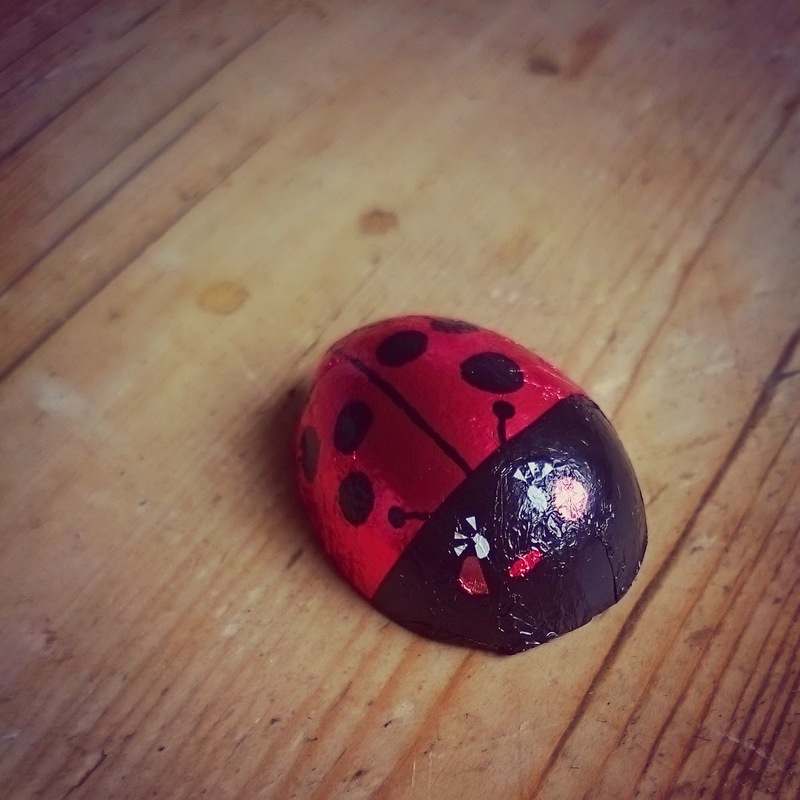 I can't say the same for the 'Love Bugs'. These got stolen almost immediately by the Mini Foodies. The few I did manage to wrestle free of tiny paws were delicious, with an unexpected caramel filling. The 'Nuts About You' - caramelised nuts smothered in chocolate with butterscotch pieces - were so moorish they barely lasted an evening, with Mr Foodie snaffling most of them. Where's your triathlon diet now MrF?! 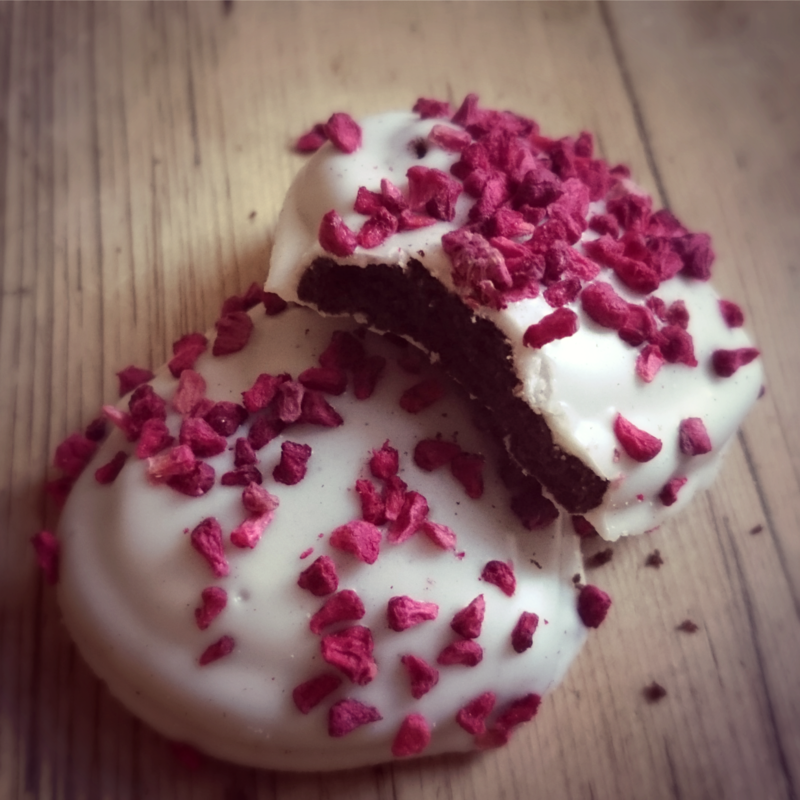 The 'Lovers Heart' biscuits covered with vanilla fondant and raspberry pieces didn't last much longer either. I admit to not trying the aniseed, fennel & liquorice tea yet, but the tube of Luxury Fudge - Oh. My. 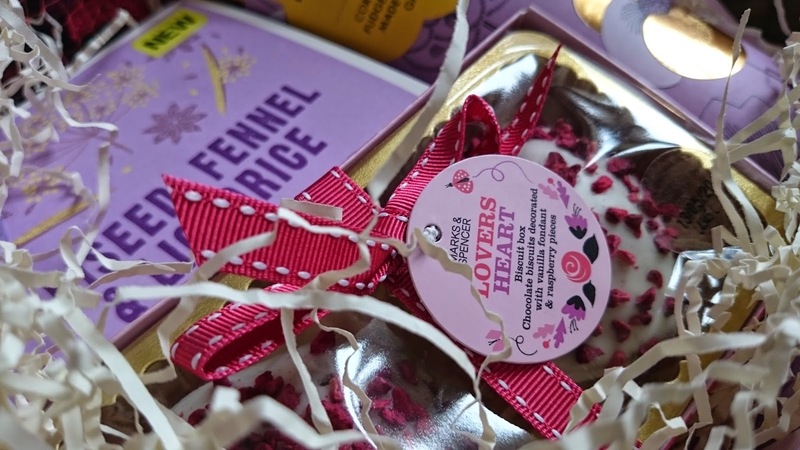 Word - Australian Ginger Fudge and Cornish Clotted Cream Fudge to be exact, talk about addictive! I'm drooling just thinking about them. They tasted just like the Scottish tablet I used to eat as a child, only softer.